We’re pleased to inform all our customers that we just slash the price by 50% for the tool “3 Hutchison Sweden – iPhone 2G, 3G, 3GS, 4, 4S, 5”. The new pricing is : €79 or $99 or £69. Turnaround is also faster (1<>2 days instead of 3<>7 days) and now the iPhone 5 is supported ! 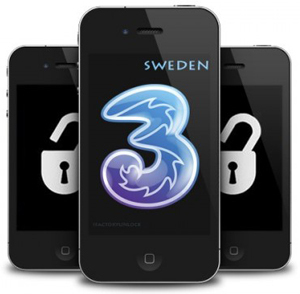 Unlock all the iPhone from 3 Hutchison Sweden with UnlockBase. All these 3 services have a turnaround for delivery of 1<>4 working days! Tool/Service name: “Telia Sweden – iPhone 5” (Tool ID: 420). iPhone 4S Support for Some Network ! 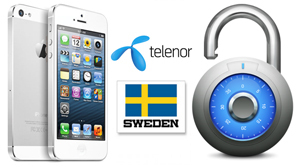 Today we add 3 new services to unlock Nokia, SonyEricsson and iPhone from Telia Sweden. Service is 100% tested and working, with usual turnaround for delivery of 1<>4 days ! Added 3 x New Network Provider by IMEI !